President Trump told Fox Business' Trish Reagan that the Federal Reserve is his "biggest threat" to his presidency because it's raising rates too fast. The Fed has already voted to raise short-term interst rates three times this year, and are on course for another hike in December - keeping on track with the course they laid out in late 2017. Three more hikes are expected in 2019 and one in 2020. Mr. Powell said earlier this month he sees little sign the economy is overheating, but defended the Fed against criticism that policy makers are raising rates too fast. Consumer prices, a broad measure of inflation, rose less than expected for the second straight month in September, the Commerce Department said last week, suggesting price pressures remain in check. In the 12 months through September, overall prices rose 2.3%, the smallest year-over-year change since February. In February, President Trump appointed Fed Chair Jerome Powell to replace former Chair Janet Yellen, however he has been highly critical of Powell in the ensuing months. In August, Trump was critical of the Fed's decision to raise interest rates - urging the central bank to instead consider "what's good for the country." Powell, on the other hand, has not directly addressed the criticism - though he did mention in August that the Fed is working hard to strike a balance between the "shoals of overheating and premature tightening." On Monday, Yellen said that Trump's attacks on the Fed are "counterproductive" if they seed doubt among investors that the Fed can keep inflation in check. 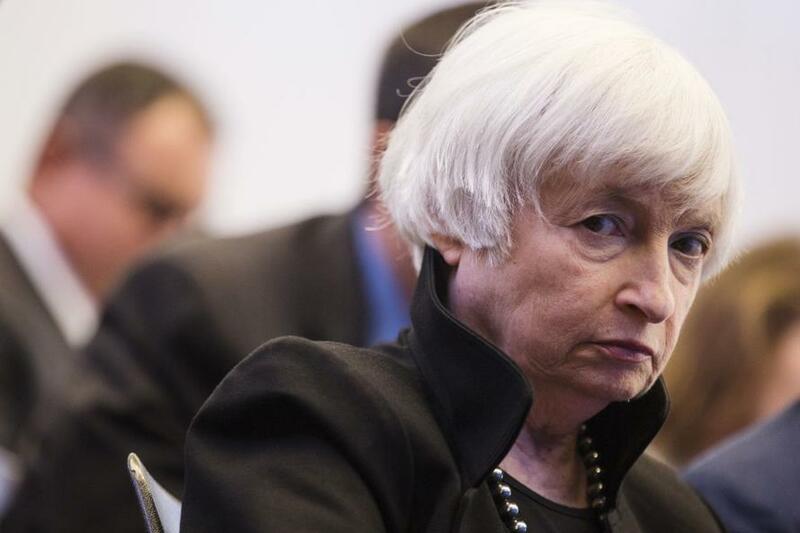 She added that she didn't think Powell would be influenced by Trump's criticism that the fed had "gone crazy" with rate hikes. Trump's criticism, of course, is just his way of setting the stage for the Fed to take the blame during the next contraction, should it ever occur.